I loved reading this book. I found it refreshing, different and realistic. Devorah is brought up in the strict Hasidic way of life. This means all her friends and relatives are Jewish, she goes to a Jewish school, wears long skirts and black tights even in the heat of summer, and she rarely leaves her tight community in Brooklyn. She is expected to marry a Hasidic boy her parents will choose for her. Jaxon, on the other hand, is a smart black boy who isn't comfortable around girls, even though he has four younger sisters whom he loves. He has a good relationship with his parents too and a best friend who messes things up when he tries to help out. Both Devorah and Jaxon live on opposite sides of the very same street and have never met, would never had met, if it were not for that hurricane storm that left them stranded together, in the dark, in a hospital elevator. Their chance meeting leads to a relationship that is strictly forbidden, and makes Devorah question her way of life. The more they risk being together, the more things go wrong, and the couple find themselves making hard decisions. There is much at stake and both will learn changing life lessons. There are so many themes explored in this novel, from religious tolerance and intolerance to racial prejudice, family loyalty, women's rights and first love. The author really immerses the reader into the life of Devorah and her Hasidic way of life. Although there may be much we may not understand about the restrictions Devorah lives with, the author deftly makes us respect Devorah's religion even as we know the changes Devorah brings about are good. Jaxon is so easy to love. He is a fun guy who is a big brother to his sisters and a source of pride for his parents because he is book-smart and can make it far in life. When he meets Devorah and starts to lie to his parents, feeling guilty about it, while experiencing the thrill of secretly meeting the girl he fell in love with and who loves him too, he gets drawn in deeper into a difficult situation. The plot and story line brings the reader into a climax that has to do with choosing life changes more than love choices. I appreciated this so much! The journey there was not easy for these two love-struck teens but I felt in the end they made the right choice and learned from each other's journey of discovery. 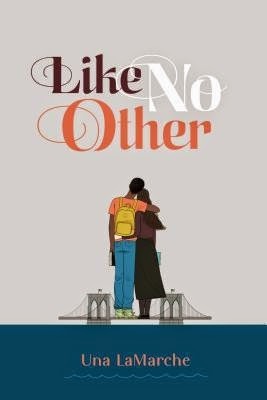 I applaud the author for writing a novel about people from diverse backgrounds who are proud of their heritage despite the prejudices against them. This was a thought-provoking story that shows teens you need to stand up for what you believe, even while respecting where you come from. Note: This book is rated C = clean read. There is one scene with heavy kissing and there may have been some profanity but I honestly don't remember. I think there were a few name-calling words in a few scenes at school. Disclosure: Thanks to Vikki from Penguin Canada for sending me this book for review. I was not compensated in any other way, nor told how to rate or review this product.